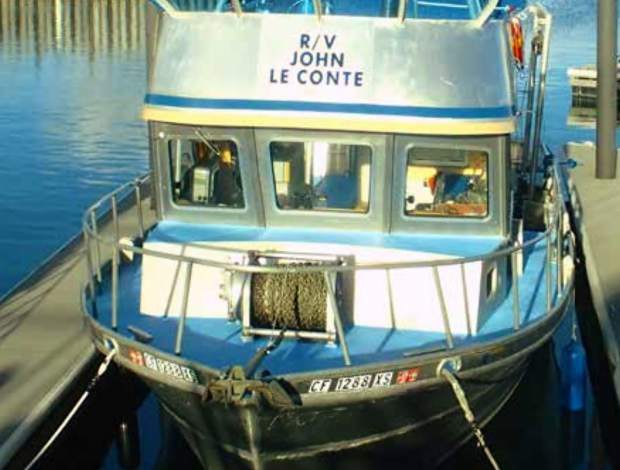 After receiving some needed improvement, the R/V John Le Conte is ready to hit the waters of Lake Tahoe. 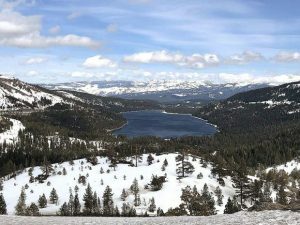 Visit http://terc.ucdavis.edu to learn more about the Tahoe Environmental Research Center, the main branch of which is on the campus of Sierra Nevada College, 291 Country Club Drive, Incline Village. INCLINE VILLAGE, Nev. — In 1976, Dr. Charles Goldman received a grant from the National Science Foundation to build a scientific laboratory for the limnological research at Lake Tahoe. 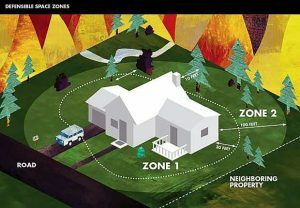 Appropriate land for the building site had been donated, plans had been prepared, but approval for the construction could not be obtained. With a limited time remaining to spend the grant money, Dr. Goldman received approval to redirect the funds to Freeman Marine in Gold Beach, Oregon, for the construction of a “floating laboratory.” The result of this quick thinking became the Research Vessel John Le Conte. Fittingly, the new vessel was named after the first president of the University of California who made some of the earliest clarity measurements at the lake. Since its arrival, the R/V John Le Conte has plied the waters of the lake carrying scientific sampling equipment and the researchers who deploy them. The iconic profile of the Le Conte has become synonymous with understanding how the lake functions and the measures needed to preserve its famed clarity. The large back deck has served as a classroom for thousands of school children, resource agency staff and politicians at the highest level of government. Inevitably with this much activity, the vessel began to show its age. The R/V John Le Conte is now running on its third engine, a clean emission Cummins diesel, purchased with a supporting grant from the Sacramento Metropolitan Air Quality Management District and support from community donors. With the mechanical aspects of the vessel taken care of, it was time to improve the vessel’s overall aesthetic. This past summer TERC staff stripped and painted the old deck, polished the aluminum, and applied new decals. With its new look and power system, the R/V John Le Conte is ready to continue for the next 40 years, carrying current and future researchers to help them meet their goals of understanding how Lake Tahoe is responding to both cultural and climatic impacts.